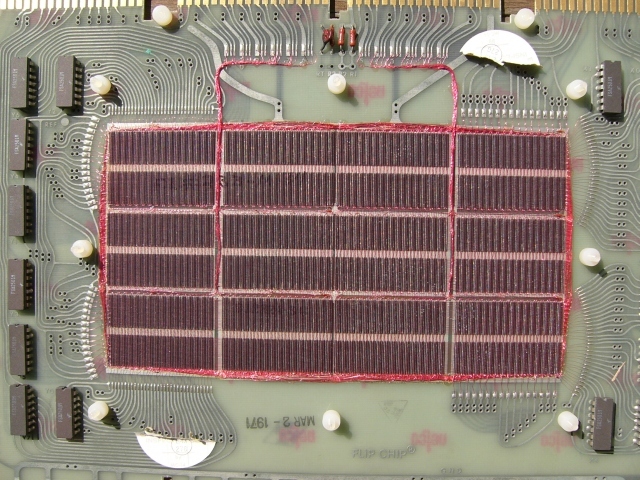 DEC G619a flip-chip core memory board for the PDP-8e. 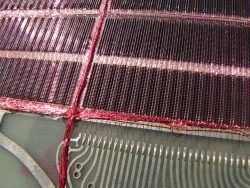 This is 4096 12-bit words, or 49152 tiny ferrite donuts. Manufactured 02 March 1971, inspected 27 May 1971.